Large 1250 sq ft condo with 2 bedrooms and 3 bath with 2 having whirlpool tubs. Large fully stocked kitchen and seperate dining area. Master bedroom has King bed while second bedroom has 2 full beds. Most units offer golf course views. 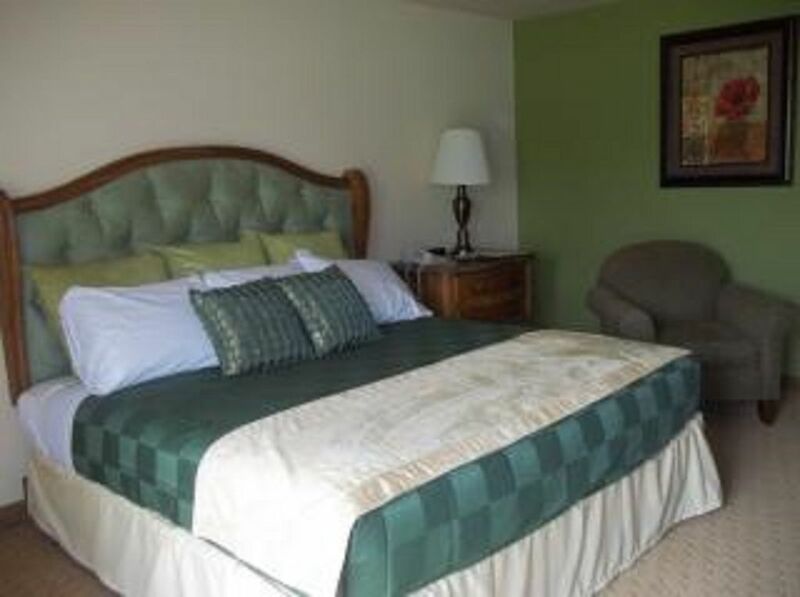 Fox Hills Resort and Conference Center is ideal for your business, recreation, and relaxation needs. This beautiful 500 acre golf resort and spa is a picturesque setting for year-round entertainment,weddings, and family vacations. It has one of Northeast Wisconsins' finest golf facilities with 45 holes of challenging golf, featuringThe National Championship 18 hole Links course, one of the top 10 most challenging courses in Northeast Wisconsin and the skillfully landscaped Parkland-styleFox Creek 27 hole coursethat encompasses the resort. The hotel which is located close to the timeshares does have pet friendly rooms, indoor swimming pool, Fitness Center, The Oasis Spa, The 19th Hole Bar & Grill, The Willowview Restaurantand Benchwarmers Sports Barfeaturing daily food and drink specials and live weekend entertainment. We also are centrally located to skiing, snowmobiling, sledding, wine tours, museums, and so much more for your Mishicot/Green Bay/Door County vacation. Excellent wedding accomodations as well. Resort has a knowledgeable, friendly, and experienced staff. So, come and discover Fox Hills Resort… your one-stop destination for year-round family fun in Manitowoc county and you'll see why for more than 45 years it has been Wisconsin's Premier Four Seasons Resort! I am a person who loves to travel and enjoy helping others do the same. I have many properties in Wisconsin including the Dells, Lake Geneva, Oconomowoc and will work with anyone on getting to where they want in a clean comfortable place. Love the location and love the property with proximity to Lake Michigan beaches, Door County and the Milwaukee metro area. The condos are large, comfortable, upgraded in the last 2 years and provide privacy to even large family get togethers. Resort has a large indoor and outdoor pools with a large indoor hottub. Great golfing and local shopping is a great is and her destination. This is fantastic place to stay with comfortable accomodations in a small town. It is close to Green Bay with the NFL Packers, Door County and Milwaukee Wisconsin. Its 15 minutes from Manitowoc and the ferry to Michigan and an hour from Oshkosh with its annual EAA flyin. Away from the hustle and bustle of the urban city life but close enough to enjoy their amenties. Very quiet and peaceful. Washer and Dryer are in Laundry room and shared by 4 condos in that building and are free to use. Resort has pool building and hotel has a fitness center free to use. Fox Hills is beautiful, villas are great for a large group! Discover nearby Manitowoc shopping, zoo and maritime museum. Nightly Rate: $150 - $250 Weekly Rate: $800 - $1600 Monthly Rate: $0 - $0 I have access to units ranging from studio to 3 bedroom. I can do from 2 to 7 nights. Currently have 2 7 night reservations on Friday 7/15 and Friday 7/22. Partial stays can incur a housekeeping fee based on unit size needed.